With global warming affecting the lives of many people around the world, more countries around the world are now turning to renewable energy sources, like wind power in Denmark, Solar Power in the Philippines, and geothermal power in Iceland, to reduce their carbon footprint and hopefully limit the effects of global warming. However, despite the myriad advantages that solar power systems have over other renewable sources of energy, many are still averse to having them installed on their homes for fear of any safety issues that often arise with many fairly new technologies going mainstream. One issue is that installing solar panels is very difficult and therefore can poses a risk to both the installer and the house it is being installed on. 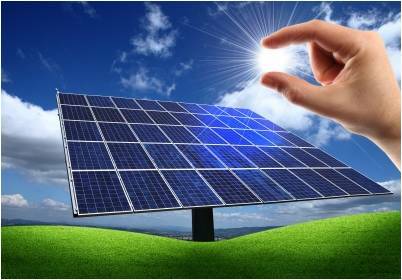 Although the work can be difficult at times, as solar panels are big and heavy and some houses’ wiring systems are difficult to navigate, installing a solar power system on a house is generally a simple matter. It is also important to note that each work site presents its own challenges (a two-story house with a sharply angled roof and simple wiring vs a single-story house with a flat roof and shoddy wiring, for example). · Proper lifting techniques should be practiced when carrying solar panels. · At least two people should carry each solar panel. · Installers should avoid carrying solar panels while climbing ladders. · Ladders should be placed only on level ground and unobstructed places to prevent them falling over. · Installers should use proper safety equipment, like helmets, safety nets, and body harnesses, at all times. Another is the issue of solar panels being a possible fire hazard. It is important to note that, although solar panels have to pass through rigorous quality testing, pass tough, international standards, and be of a certain quality before they can be sold to various countries around the world, they are not totally immune to electrical faults. · As faulty, low-quality components can cause electrical fires, the use of higher quality components is recommended. One reason why higher quality components are priced higher than low quality ones is that their failure rates are very low. · Experience does not come cheap. Hiring quality, experienced installers that have performed hundreds of installations is miles better than hiring cheap, inexperienced ones that only have one or two installations under their belt. · Regular inspection of the system should always be performed to ensure they are working at top shape. · Although most inverters come with factory weatherproofing, they should still be well ventilated and protected from the elements. Nothing is 100% safe. In fact, any device that uses electricity as its power source has the potential to overload, short circuit, and develop electric arcing that can cause electrical fires. However, through proper precaution, the usage of higher quality components and installers, and the practice of fire safety protocols, preventing electrical fires and building a safe and efficient solar power system anywhere is very much possible. Kimberly Marie Gayeta (Kimmy)is a Communications Degree holder, passionate writer, currently working as a local Public Relations Officerand an online Marketing Representative.